Ducksun Ahn is Professor in the Department of Plastic Surgery, Korea University Medical College, Seoul, Korea, immediate past-president of Association for Medical Education in the Western Pacific Region (AMEWPR - now named WPAME), and president of the Korean Institute of Medical Education and Evaluation. He graduated from Korea University Medical College (KUMC) and received clinical training in Plastic Surgery at the University of Toronto. Upon his return to the Republic of Korea, he created the Medical Education Department at KUMC. He also holds a Master’s degree in bioethics (Catholic University of Leuven, Belgium). As a fellow of the ECFMG program for international medical education at UCLA (University of California in Los Angeles), his main interest was in medical education. This interest led him to visit the Australian Medical Council for an in-depth study of the accreditation of medical schools and specialty colleges. 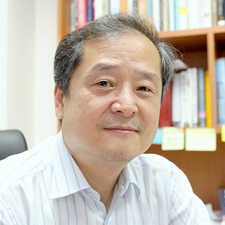 He was the vice dean of the medical school and the president of the Korean Society of Medical Education, when he introduced the OSCE as a second part of the national licensure examination, as well as humanities and social science in medical education. Ducksun Ahn has been heavily involved in accreditation for basic medical education domestically and internationally. During his presidency of AMEWPR, he activated AMEWPR to promote the function of international collaboration among member countries for external evaluation, based on accreditation principles, as well as many consultative visits for future development of the accreditation system.